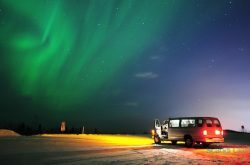 With stunning arctic surroundings, a plethora of festive activities and the unbelievable northern lights in the mix, a Lapland tour is the perfect way to ignite your Christmas spirit. And as we all know, the magic of Christmas simply can’t be matched. It’s the most exciting time of the year for adults and children alike. Best of all, with a holiday to Lapland, it can happen more than once a year. A dream come true, right? 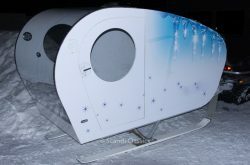 Whether you want an experience that’s purely Lapland or one that’s full of even more delights, we’ve got a variety of Lapland packages up to eight days in length to fulfil all your desires. 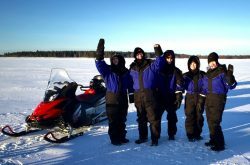 On the 4 Day Rovaniemi Lapland Tour, you can sample all the incredible experiences Lapland has to offer. 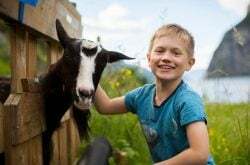 Take in the Northern Lights, soak up the scenery on an exhilarating husky-drawn ride and, of course, visit the magical Santa Claus village on an amazing reindeer safari. With Santa Claus’ Main Post Office, the elves’ famous workshop and a chance to meet Santa himself, the village is a must-see for Christmas lovers. It’s definitely hard to top that. But one way is by throwing an historic, culturally vibrant city into the mix. 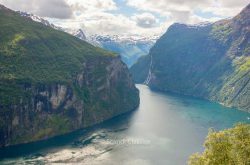 The Winter Fairy Tale 6 Day Tour gives you a chance to enjoy one of the most exciting and beautiful Scandinavian cities before embarking on your festive adventure. 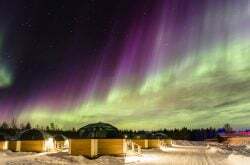 An overnight stay and guided panoramic tour of Helsinki acts as a warm up prior to your comfortable overnight train ride up to Rovaniemi – the heart of Lapland. 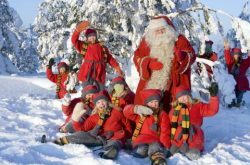 Your wonderful holiday in Lapland will be filled with all the must-sees and must-dos described in the four-day package. If you’re looking for something extra special, you have two options. 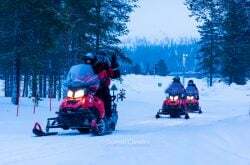 Firstly, the Best of Lapland 8 Day Tour is a comprehensive package that squeezes in all the magical attractions of Lapland. Setting it apart from the shorter tours is a visit to the remote destinations of Inari and Kakslauttenen. Lapland’s cultural heart, Inari is home to the indigenous Sami people. It’s a unique, intimate village that oozes magic and beauty. Around 80 km away, the beautiful resort of Kakslauttenen is known for its one-of-a-kind glass igloos. A spectacle in themselves, they provide unbelievable views of the Northern Lights. And the other option? Prepare yourself! 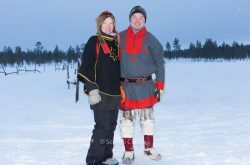 The 7 Day Winter Lapland Tour combines festivity with an extraordinary Arctic experience. 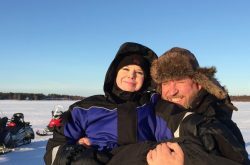 People travel from far and wide to try the Sampo Icebreaker cruise. Vising Kemi on the fifth and sixth days of this tour, you will be able to encounter it yourself. Watch in amazement as the massive vessel breaks through the thick ice in the Gulf of Bothnia with you on board. 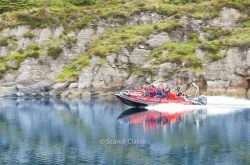 If you’re brave enough, you can even take an ultra-refreshing dip in the icy waters. 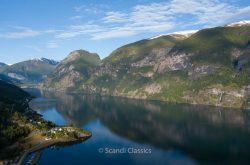 Whichever magnificent Lapland tour you choose, with Scandi Travel, it’s sure to be a memorable experience. We combine amazing destinations and packages with first class service to make your holiday completely unforgettable. And with a range of tour lengths and prices available, we really can cater for all needs. 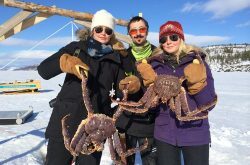 Get in touch with our friendly team to discuss our incredible winter Lapland tours today!